Adding a sash is a great way to add color and flair to your chair covers. This sash is tied over a White Poly Chair Cover. 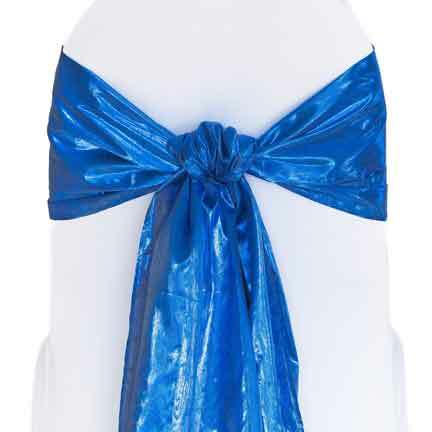 We carry a large color variety of our Tissue Lame sashes.